Empty Mind: What Do You Think About When Faced with a Pressure Putt? when you are faced with a pressure putt. Putting with negative thoughts is seldom successful. However, putting without thinking is difficult. The solution is to occupy your mind with matters unrelated to your putt. However, the ability to clear negative thoughts from entering into our consciousness is entirely another matter. Most of us are not very good at it. It seems that on the putting green, thoughts (mostly the wrong ones) pop into our head whether we like it or not. To add to the difficulty of being without thought, trying to suppress a thought only seems to heighten it. 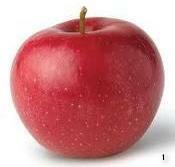 Tell someone not to think of an apple, and the first and lasting image in their mind is that of an apple. Now help is at hand. The best instruction I have read for dealing with unwanted thoughts is that spelled out by Carey Mumford with his 'Clear Key' concept. Instead of trying to achieve an empty mind free of thought, you give your mind something else to think about that is unrelated to what you are trying to do. Conventional wisdom on dealing with pressure sets out the importance of having a pre-putt routine. This puts you on automatic as opposed to manual control. At no time do you give yourself the opportunity to have second-thoughts of any kind. This is good advice, but despite all this, moments of doubt can still enter your mind. The ideal state is to putt without thinking – to get out of your own way and let your subconscious take over. In Mumford's e-book The Double Connexion: How to Get Your Game from The Practice Tee to The Golf Course he talks about pre-putt planning in preference to a pre-putt routine. Pre-putt planning sets the stage with what you want to do. A 'Clear Key' involves your mind so that the learned habit of your putting stroke can do its thing. A Clear Key is some short meaningless sentence that is passive to action. This you repeat to yourself when putting. It must be long enough to cover the time it takes to complete your putting stroke. As there is no such thing as not thinking, a Clear Key helps you to switch from manual to automatic. As soon as you are ready to putt, you say, either aloud or under your breath, a phrase such as "Mary had a little lamb." The central idea is that a simple sentence or mantra that is in no way related to the action you are performing has the effect of occupying your mind sufficiently to block out any other thoughts. I used to repeat the phrase "Smooooth", but this is a swing thought that is action-related. Swing thoughts are best in the pre-shot planning. Since changing over to "Mary had a little lamb" I have better results of blocking unwanted thoughts. It may seem corny, but it works.